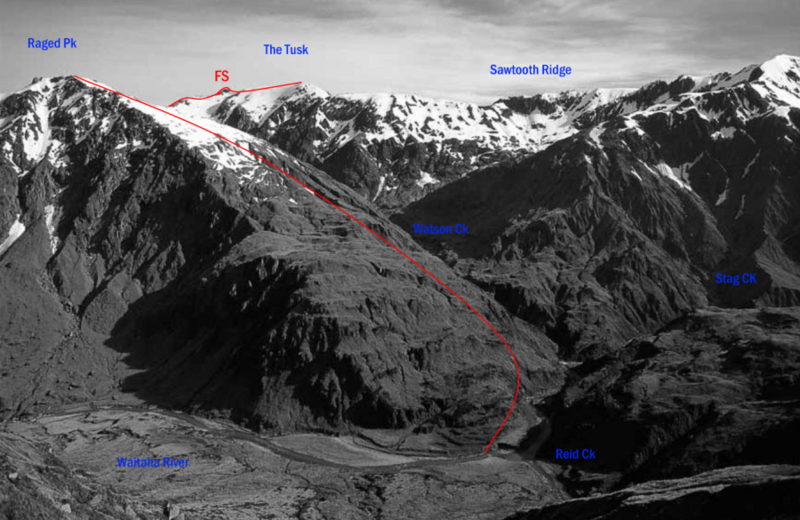 The Tusk is easily approached along the ridge from Raged Peak and the Reid–Stag Creek forks. Head up valley from the hut and take the true-left lower fork that is closest to the 1020-metre contour. With snow in the gully, this offers reasonable travel to near Dickie Ridge, when access to the gentler upper snow slopes can be gained.